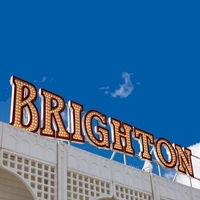 Join us for our February Brighton meet-up event! This will be taking place in the meeting room at My Brighton hotel. 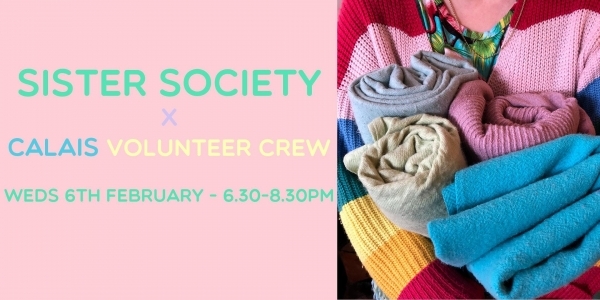 This month’s speakers are our wonderful team of Calais volunteers - Louisa (Sister Society co-founder) Sara AKA Fizzy Snood, Jess English & Ella Gilchrist. Many of you have very generously donated money & much needed items enabling our volunteer crew to go and support the Help Refugees warehouse team in Calais at the end of January. Our volunteer crew will telling us all about their trip, the work Help Refugees is doing and what us privileged folks can do to support the refugees. As ever we'll also be updating you on upcoming projects & inviting you to get involved! You can get your hands on one of our LIMITED EDITION 'Empower, Support, Engage, Create' tote bags created in collaboration with the wonderful Tidy Print for just £6 (pay via cash or card) on the night with 50% profits going to The Red Box Project. DON'T FORGET TO BRING YOUR TAMPON & SANITARY TOWEL DONATIONS FOR THE RED BOX PROJECT ❤️Lots more generous donations last time with one woman bringing a whole bag! Let's see if we can fill a whole box again... (FYI there's a Tesco across the road from My Brighton hotel if you need to buy your donation on the way to the event). Please note: the meeting rooms are on the first and second floors -we should be in the Mercury room but sometimes it changes last minute. One of us aims to meet people downstairs as you arrive but if you're running late or can't spot us please get a drink from the bar and head on up in the lift. 8pm onwards - Join us for a drink in the Merkaba Bar downstairs at My Brighton hotel. We’re an approachable friendly bunch and would really love you to come along & join in.